Students trudge through the soaked academic mall, attempting to make it to their next class relatively dry. 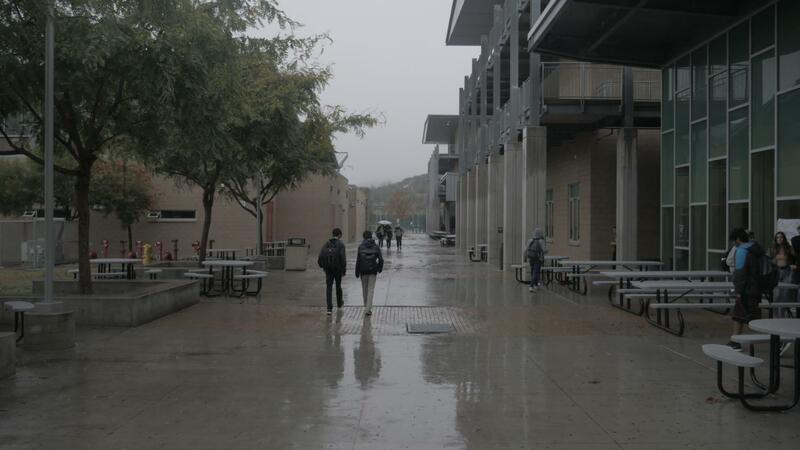 Last week, Carlsbad was greeted with plentiful amounts of rain, causing students to seek refuge under awnings, classrooms and in the library. 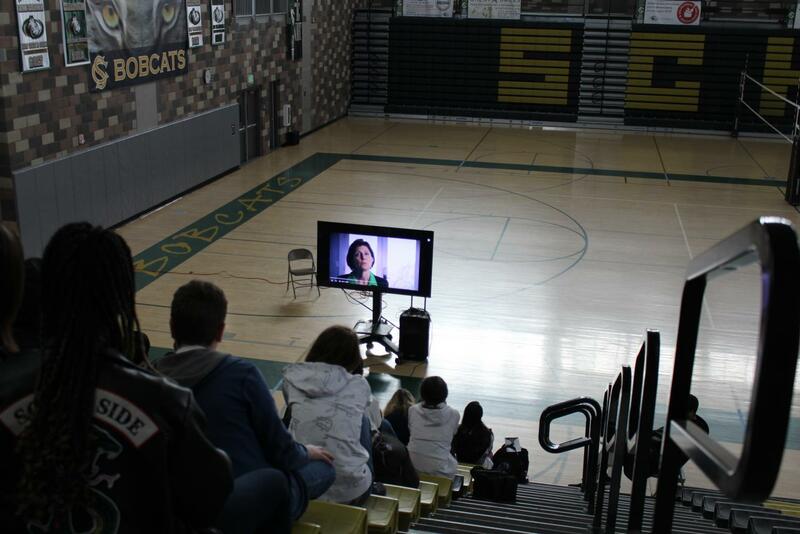 Students in Coach Savage’s advisory class gather in the Bobcat Arena to view the independent film “Angst.” Wednesday the 16th was designated as an alternate bell schedule to accommodate the mandatory viewing. Matthew Korf controlling the play at the top of the key. He ran the team in the drive resulting in a basket for the Bobcats. 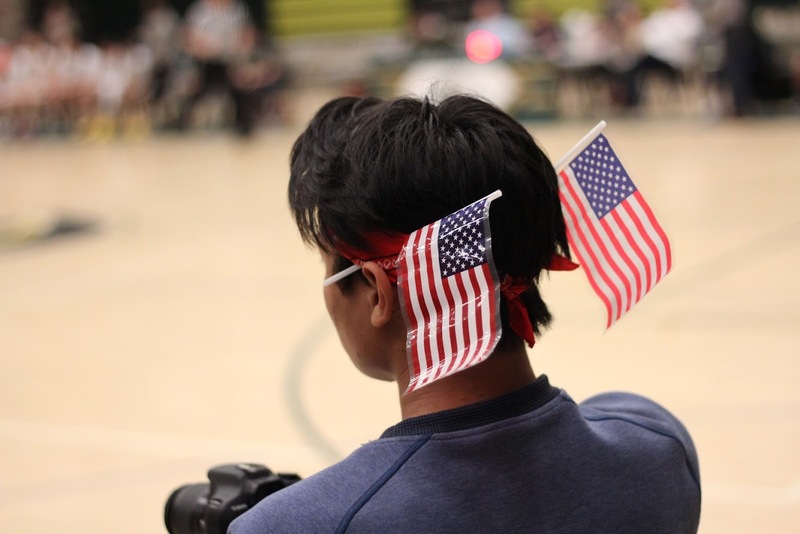 Bryant Kitisin dresses in red, white and blue for the USA themed basketball game. 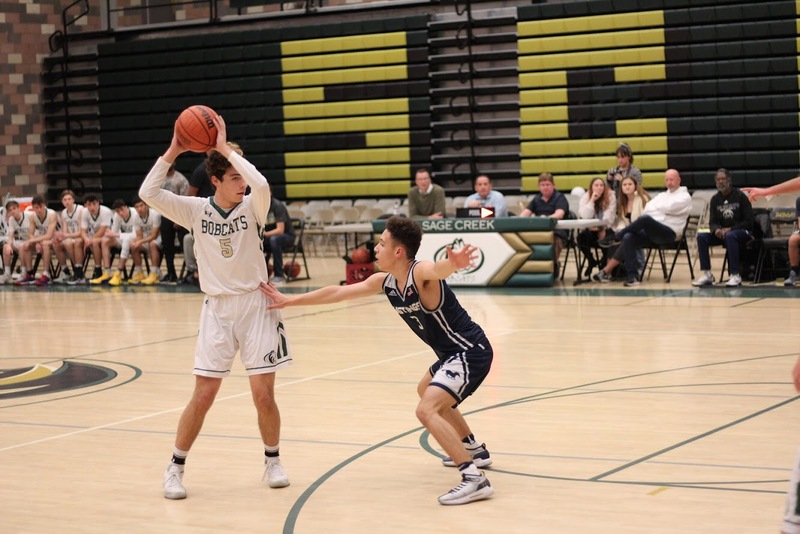 Last Friday, boys basketball lost with a score of 53-49. 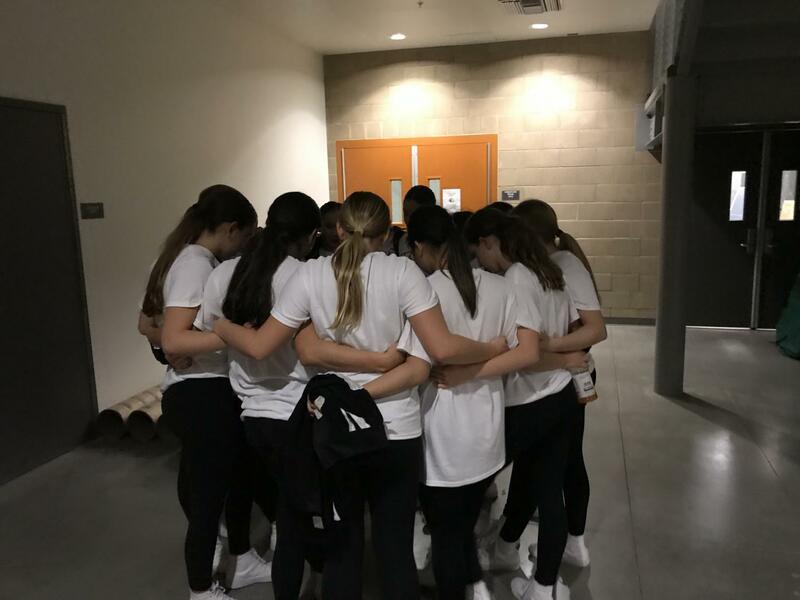 Last Friday, Sage Creek Dance Company prayed as a group before performing for the second time. While dancing at basketball’s halftime show their music cut out, but they kept dancing to cheers from the Bobsquad. At the end of the game, Dance Company took to the court one more time to reperform with music. 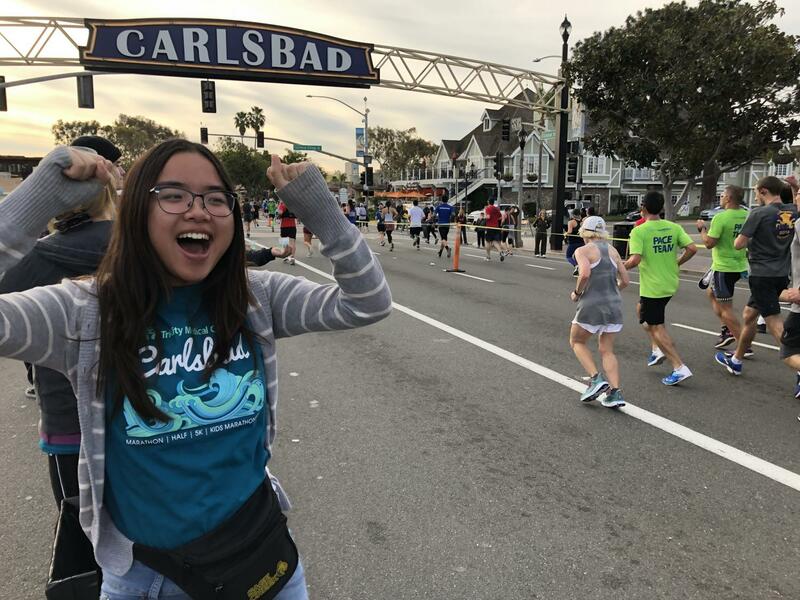 Key Club President Valerie Nguyen led the club this past Sunday at the Tri-City Marathon. Key Club is a campus organization that strives to volunteer within the community. 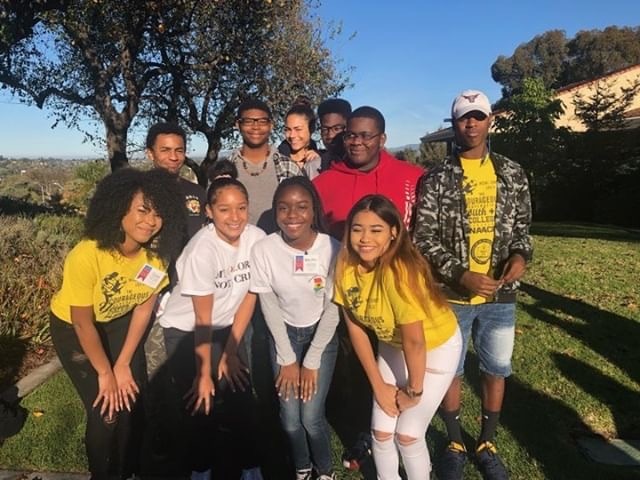 Members of North County Black Student Union and Sage Creek BSU pose at MiraCosta College last weekend. They attended a Martin Luther King service project in which they painted a center for disabled adults.